While watching Marlene Dietrich’s sultry performance of “The Laziest Gal in Town” in Alfred Hitchcock’s 1950 thriller,”Stage Fright”, I asked my husband if the song and performance seemed familiar. Because I’ve raised him right (on film history that is😎), he remarked, “of course, Madeline Kahn’s performance of “I’m Tired” in the Mel Brooks satirical Western comedy classic, “Blazing Saddles” (1974). I loved hearing his response because it’s the main reason I pen this post; for the history and appreciation of films. Understanding a writer or director’s references to past movies in theirs adds to the richness of the production. It helps young people comprehend that few things in life are original and imitation can be the sincerest form of flattery. Sometimes the homage in a movie isn’t to a particular scene in a film but the music. I love Minions period but I especially enjoyed the “Minions” movie’s 1960’s soundtrack that made the perfect nod to James Bond type villains (“Minions” Scarlet Overkill) and the time period of the setting. As a child of the ’60’s I remember turning to my husband in the theater saying, 99% of the people in here weren’t even born yet and I wonder if any of them appreciate the inclusion of the classic songs of this era. Of course, I want you to visit my website as a source of reference material, but if you want to see these full-length gems for free, I recommend tuning into the Turner Classic Movies channel. They show everything from the great silent films, Chaplin, Buster Keaton, etc. 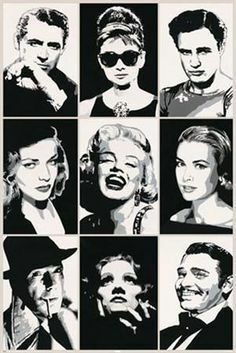 through Hollywood’s “Golden Age”. These classic films bring me great joy and I hope you’ll find a special place in your heart for them, too! 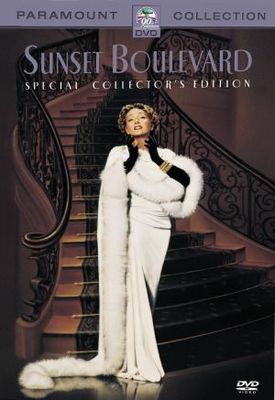 As she descended the well-worn stairs of her aged and decadent mansion steeped in long past memories, Norma Desmond uttered the declaration that forever remains in the memories of those who witnessed her performance in the 1950 classic, “Sunset Boulevard.” It’s impossible to forget those delusional words spoken by the creepy Norma Desmond as she is escorted through the end scene for her deadly deed; not surprisingly surrounded by gawkers vying for a tiny glimpse of the reclusive silent film star. Before the film, I had only heard of Gloria Swanson but hadn’t seen any of her films. After witnessing her tour-de-force performance as the legendary diva, Norma Desmond, I sought out every movie of hers that I could. 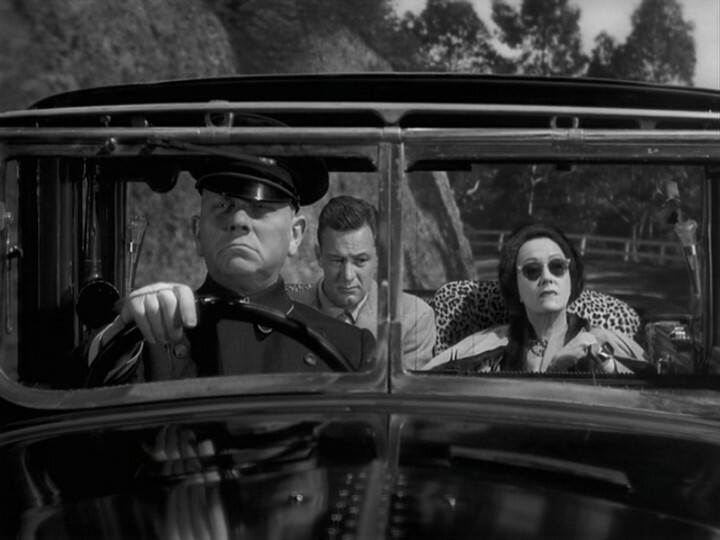 Wow, she inhabited the role of Norma Desmond with intimate knowledge of the silent film era since those were Swanson’s actual glory days. By the way, the dialogue is both fantastic and hilarious. 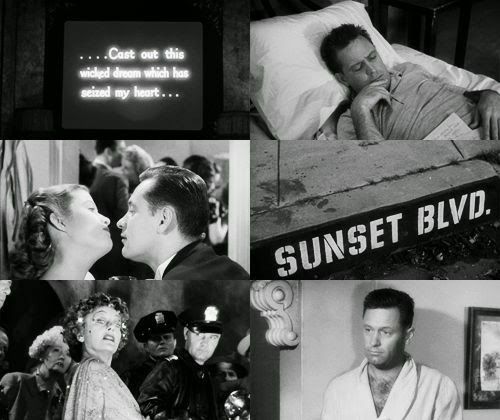 The film stars William Holden as Joe Gillis, an unsuccessful screenwriter, and Gloria Swanson as Norma Desmond, a faded silent film star who draws him into her fantasy world where she dreams of making a triumphant return to the screen, with Erich von Stroheim as Max Von Mayerling, her devoted servant. Nancy Olson, Fred Clark, Lloyd Gough and Jack Webb play supporting roles. Director Cecil B. DeMille and gossip columnist Hedda Hopper play themselves, and the film includes cameo appearances by leading silent film actors Buster Keaton, H. B. Warner, and Anna Q. Nilsson. I’ve never been a famous movie star (maybe stage😎) But God help me if I ever get that Norma Desmond look in my eyes, dial 911! 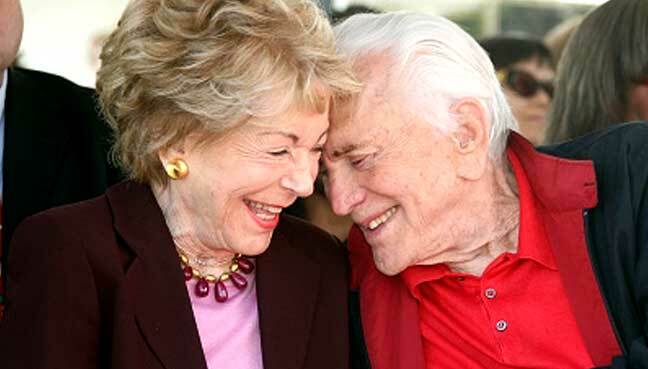 Kirk Douglas’s personality has always been larger than life; with an incredible presence and life that has spanned these 100 years. 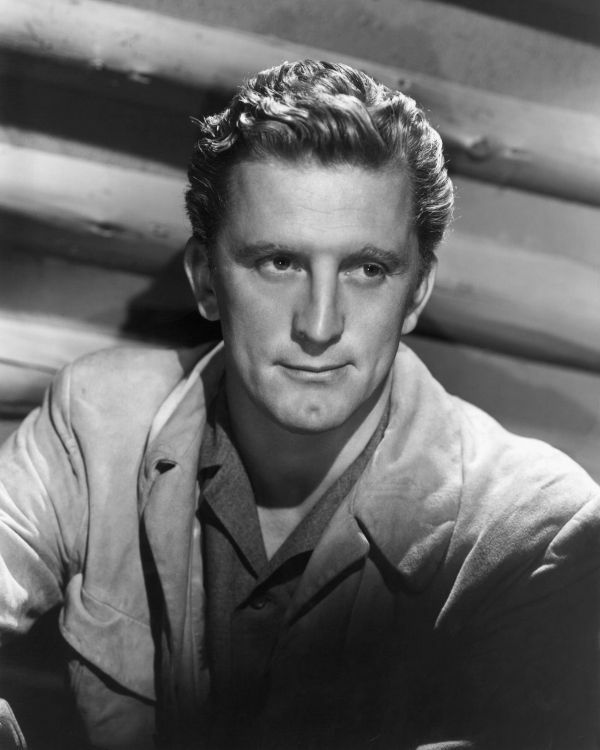 Kirk Douglas (born Issur Danielovitch; December 9, 1916) is an American actor, producer, director, and author. He is one of the last survivors of Hollywood’s Golden Age. 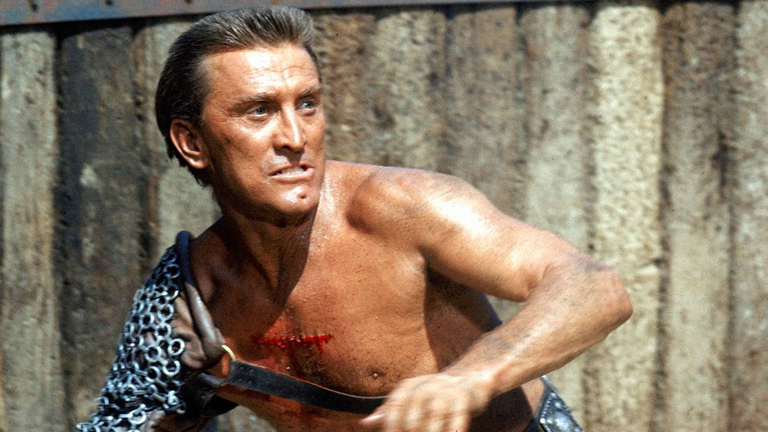 During a 64-year acting career, he has appeared in more than 90 movies and in 1960 (through his production company – Bryna Productions) helped end the Hollywood Blacklist by hiring blacklisted writer Dalton Trumbo to write “Spartacus” (1960) with an official on-screen credit. I gained a lot of respect for Douglas when I learned of this decision. Screenwriter Dalton Trumbo was blacklisted at the time as one of the Hollywood Ten. The ten writers and directors who were cited for contempt of Congress and blacklisted after refusing to answer questions about their alleged involvement with the Communist Party. The film became the biggest moneymaker in Universal Studios’ history until it was surpassed by Airport (1970). This scene from “Spartacus” is very apropos; rebels standing up for Spartacus the way Douglas stood up for Dalton Trumbo. I love this cinematic moment reflecting the truth that when we stand together, we are a mighty force! From that film on, Kirk decided that to succeed as a star, he needed to ramp up his intensity, overcome his natural shyness, and choose stronger roles. As an actor and philanthropist, Douglas has received three Academy Award nominations, an Oscar for Lifetime Achievement, and the Presidential Medal of Freedom. As an author, he has written ten novels and memoirs. Currently, he is No. 17 on the American Film Institute’s list of the greatest male screen legends of classic Hollywood cinema, and the highest-ranked living person on the list. 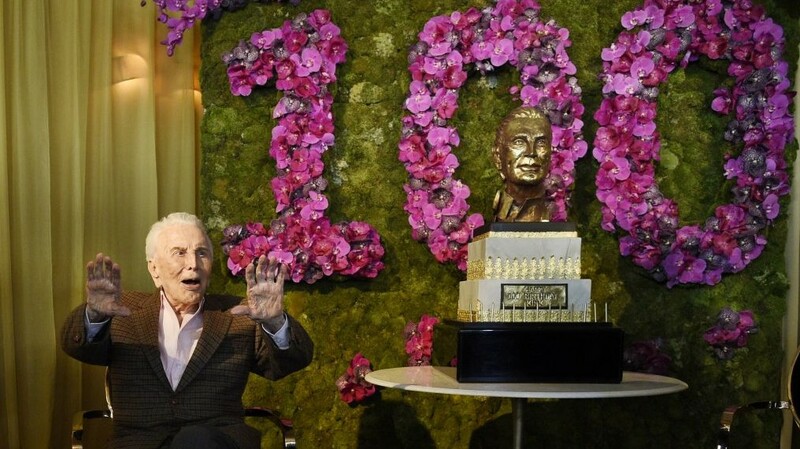 A birthday gala was held for Douglas in the Sunset Room at the Beverly Hills Hotel on December 9th. In keeping with his larger than life persona, he entered the celebration with the theme from “Rocky” blaring over the speakers. 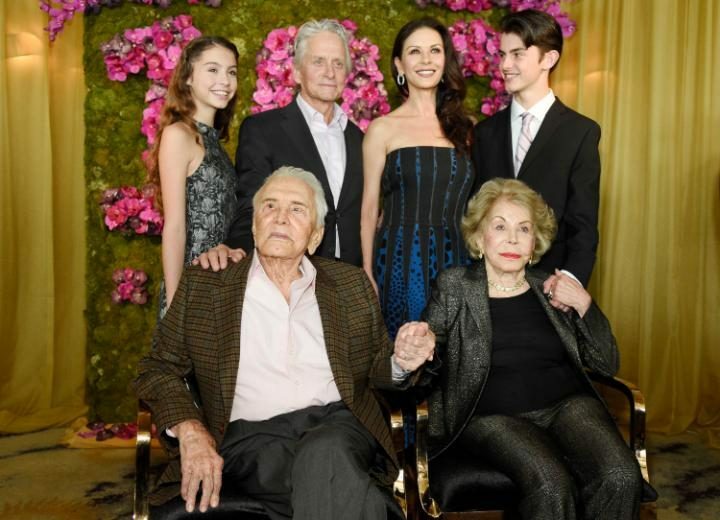 Son, Michael Douglas kicked off the proceedings, saying that it’s not just about age, but about the life he’s lived and what he’s accomplished. As clips from Douglas’ films played in the background, fun and poignant stories were shared about the legend from Don Rickles, Steven Spielberg, friends, and family. Sometimes the homage in a movie isn’t to a particular scene in a film but the music. I love Minions period but I especially enjoyed the “Minions” movie’s 1960’s soundtrack that made the perfect nod to James Bond type villains (“Minions”Scarlet Overkill) and the time period of the setting. If you’re a movie junkie like me you probably not only know the stars of the film but the Director, The Cinematographer, the Editor, Writers and possibly the Key Grip. The faces behind the camera. If you attend a movie with me, be prepared to stay through the end credits. I feel it’s imperative to acknowledge those artists who are responsible for the project. Staying for the credits also gives you a foundation to critique a film based on the direction, writing, and editing. Whether or not to see a movie based on a Director’s previous track record or the Cinematographer’s eye for the visuals. This month is dedicated to educating and paying homage to the artists who help put it all together. Let’s begin with one of the top 2 of my favorite Directors, Billy Wilder. Billy Wilder (June 22, 1906 – March 27, 2002) was an Austrian-born American filmmaker, screenwriter, producer, artist and journalist, whose career spanned more than fifty years and sixty films. He is regarded as one of the most brilliant and versatile filmmakers of Hollywood’s golden age. With The Apartment, (starring Jack Lemmon, Shirley MacLaine, and Fred MacMurray) Wilder became the first person to win Academy Awards as the producer, director, and screenwriter for the same film. “The Apartment” was nominated for ten Academy Awards and won five, including Best Picture. I love Billy Wilder because of his versatility in films and his testing the boundaries of societal norms. The first movie that comes to mind with his pushing the boundaries is “Some Like it Hot” 1959 starring Marilyn Monroe, Jack Lemmon, and Tony Curtis. The plot revolves around two musicians who dress in drag in order to escape from mafia gangsters whom they witnessed commit the Saint Valentine’s Day Massacre. These are the final lines of the film delivered by (Daphne/Jerry) Lemmon and Joe E. Brown (Osgood) in regards to their pending marriage: Daphne/Jerry: But you don’t understand, Osgood! [Whips off his wig, exasperated, and changes to a manly voice] Uh, I’m a man! Osgood: [Looks at him then turns back, unperturbed] Well, nobody’s perfect!” Wow! for 1959 that was pretty radical. “Some Like It Hot” is considered to be one of the greatest film comedies of all time. It was voted as the top comedy film by the American Film Institute on their list on AFI’s 100 Years… 100 Laughs poll in 2000. 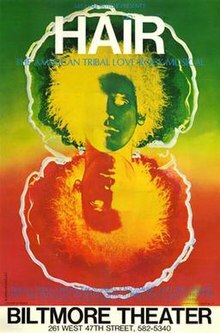 The film is also notable for featuring cross-dressing and homosexuality, which led to it being produced without approval from the Motion Picture Production Code. 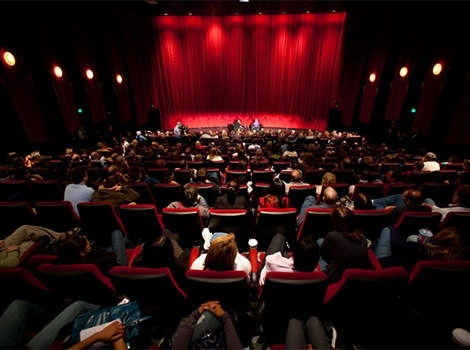 The Code was the set of industry moral guidelines that was applied to most American motion pictures released by major studios from 1930 to 1968. The Production Code had been gradually weakening in its scope during the early 1950s due to increasing societal tolerance for previously taboo topics in film, but it was still officially enforced. The overwhelming success of “Some Like It Hot” was a final nail in the coffin for the Hays Code. Wilder became a screenwriter in the late 1920s while living in Berlin. 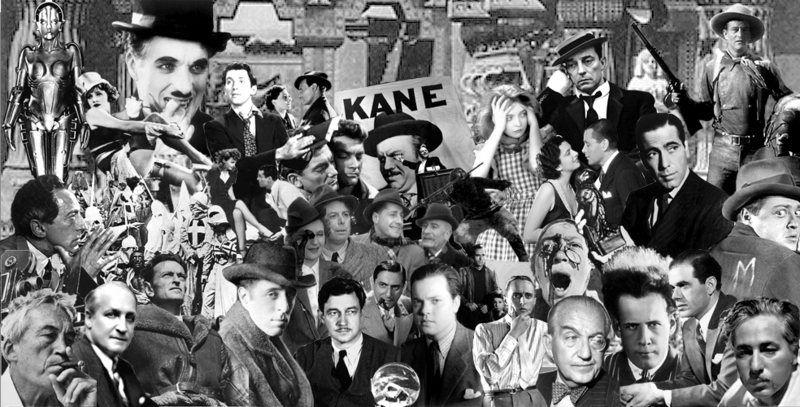 After the rise of the Nazi Party, Wilder, who was Jewish, left for Paris, where he made his directorial debut. He moved to Hollywood in 1933, and in 1939, he had a hit when he co-wrote the screenplay for the screwball comedy Ninotchka. Wilder established his directorial reputation with Double Indemnity (1944), a film noir he co-wrote with crime novelist Raymond Chandler. Wilder earned the Best Director and Best Screenplay Academy Awards for the adaptation of a Charles R. Jackson story The Lost Weekend (1945), about alcoholism. 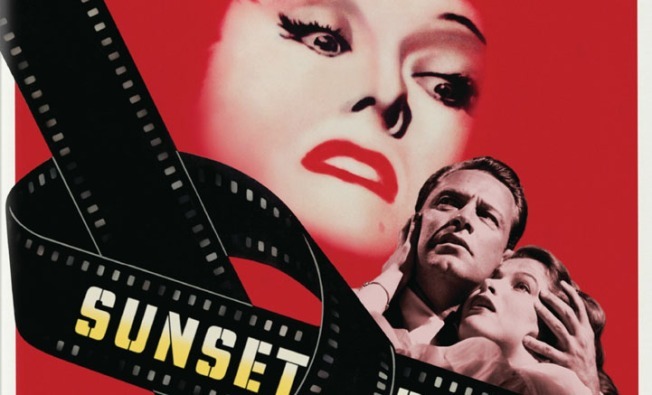 In 1950, Wilder co-wrote and directed the critically acclaimed Sunset Boulevard. Wilder was recognized with the American Film Institute (AFI) Life Achievement Award in 1986. In 1988, Wilder was awarded the Irving G. Thalberg Memorial Award. In 1993, he was awarded the National Medal of Arts. Wilder received a total of twenty-one Academy Award nominations; eight for Best Director, twelve for writing, and one as the producer of Best Picture. With eight nominations for Academy Award for Best Director, Wilder is, together with Martin Scorsese, the second most nominated director in the history of the Academy Awards, behind William Wyler, and the second most nominated screenwriter behind Woody Allen. Wilder won a total of six Oscars: Best Director for The Lost Weekend and The Apartment, Best Screenplay for The Lost Weekend, Sunset Blvd, The Apartment, and Best Picture for The Apartment. In addition, he received the Irving G. Thalberg Memorial Award in 1988. Wilder died in 2002 of pneumonia at the age of 95 after battling health problems, including cancer, in Los Angeles and was interred in the Westwood Village Memorial Park Cemetery in Westwood, Los Angeles near Jack Lemmon and Walter Matthau. Marilyn Monroe’s crypt is located in the same cemetery. Wilder died the same day as two other comedy legends: Milton Berle and Dudley Moore. 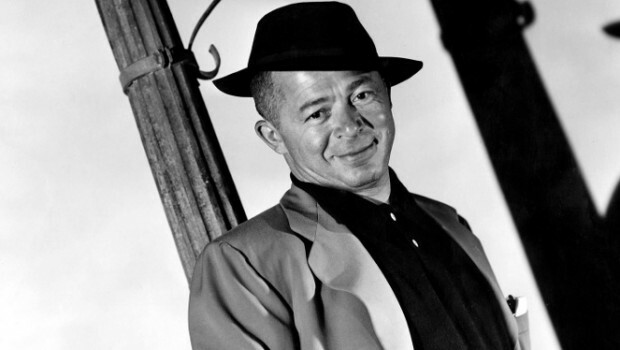 The next day, French newspaper Le Monde titled its first-page obituary, “Billy Wilder dies. Nobody’s perfect”, quoting the final gag line in “Some Like It Hot”. Those of you who read my posts on a regular basis know I’m a big time fan of classic movies. My interests include all genres and typically those from legendary directors like Alfred Hitchcock and Billy Wilder. Melodrama and classic Sci-Fi rate high on my favorite movie lists and the best television source I’ve discovered and my go to for “all things film” is the Turner Classic Movies channel. This month we celebrate Mr. Osbourne’s 20th Anniversary with a tribute to his memories and moments of sharing rare, golden Hollywood era and restored film classics from the TCM vault. For a retrospective of Mr. Osbourne’s beginnings as host, films and Hollywood legends that have visited and shared their stories, tune in on September 15th at 5:30am (I know, way too early – I’m going to DVR the special:) on your local cable channel or visit online at: http://www.tcm.com for complete details and the upcoming TCM schedule. TCM’s library of films spans several decades of cinema and includes thousands of film titles. 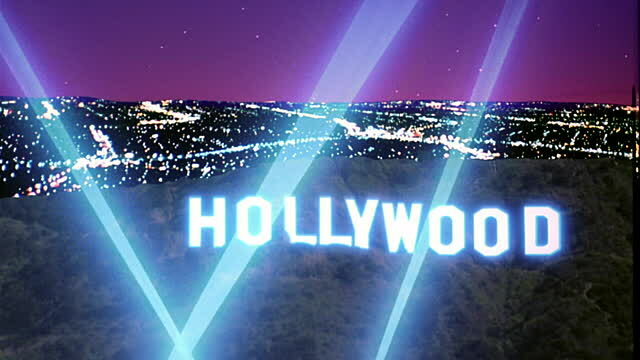 The channel has licensing agreements with such studios as Metro-Goldwyn-Mayer and Warner Bros, Entertainment. They also have movie licensing rights with Universal Studios, Paramount, 20th Century Fox, Walt Disney Studios, Selznick International Pictures, Sony Pictures Entertainment, Studio Canal and Janus Films. With such an extensive collection, we are treated to program features such as “31 Days of Oscar”, “Star of the Month”, “Silent Sunday Night”, “TCM Remembers”and numerous original programming broadcast specials. Twenty-Four Seven there’s always new movies to discover, old titles to revisit and an extensive background of cinema and film history. You can’t go wrong. 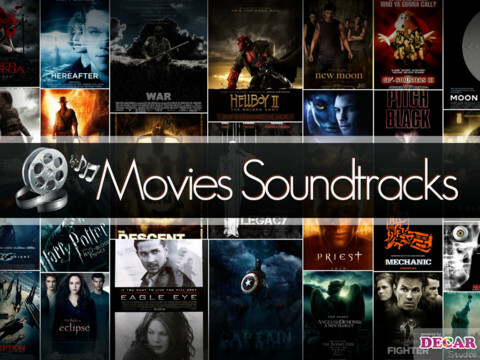 Turner Classic Movies – For Movie Lovers Everywhere!